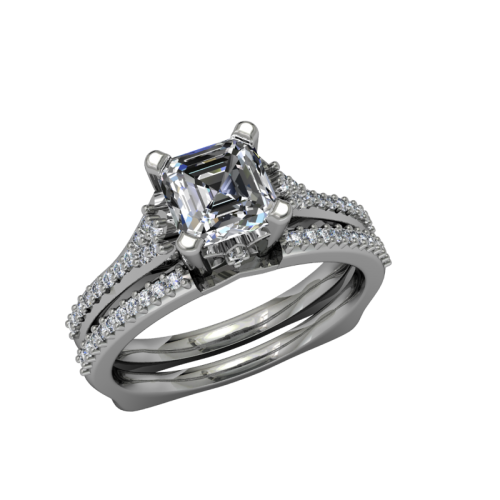 The "Love Journey" .08ct platinum diamond wedding band is the perfect complement to the "Love Journey" diamond engagement ring! It has the Melee diamonds down both shoulders and also has the euro-shank comfort fit band. 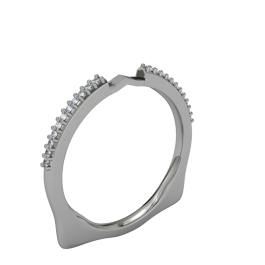 This ring has a groove across the top for that perfect fit to rest up against the engagement ring as you show off these two elegant pieces!